This world-class equestrian competition campus hosted the 14-day FEI World Equestrian Games in 2018, and it's in the middle of a major expansion. Each year, they host 40 weeks of competition with Olympic-level riders and horses in the country. Most events are free for the public to watch! Located between Rutherfordton and Columbus, it's about 13 miles east of the town of Tryon. The 48-mile drive from Asheville is an easy one via a freeway (I-26 and US 74). While its restaurants are open all year, competitions generally run April through November. 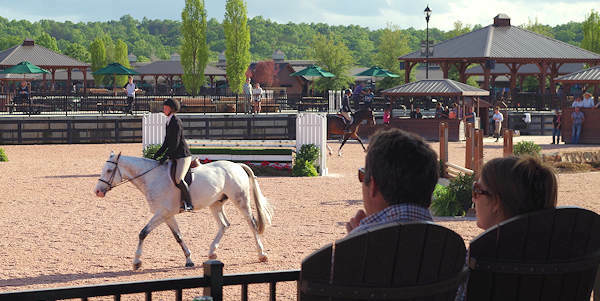 Watch hunter/jumper and dressage horse shows from a variety of stadium seating and tables. On competition days, the action runs from around 8 AM until 5 PM. On many Saturday nights (see dates below), watch the highest level of competitive horse jumping at the Grand Prix with plenty of extra things to do. March 21-April 28: The 2019 calendar kicks off with a Welcome Series, featuring two weeks of A-rated classes for Hunters and Level 3 competition for Jumpers, upgraded from a B rating in 2018. The opening series also includes three weeks of AA and B-rated Hunter and Level 3 and 6 Jumper competition. April 30-June 9: The Spring Series includes six weeks of A and AA-rated Hunter competition and including Level 4-6 alongside CSI 2, 3 and 4 Jumping competition. The Spring Series will also see the return of the popular "Saturday Night Lights" Grand Prix tradition at TIEC beginning in May. 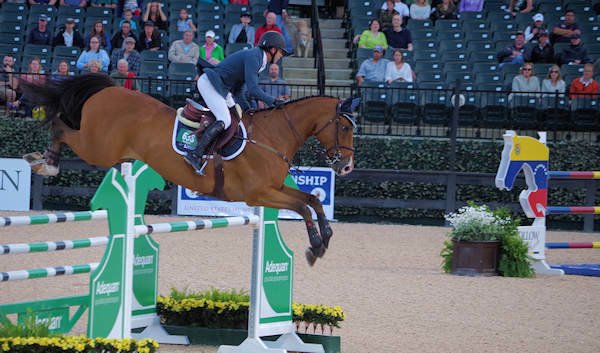 June 13-July 21: Summer Series will include B and AA-rated Hunter competition with Level 3 and 6-rated Jumper competition alongside CSI 2, CSI 3 and CSI 4 FEI weeks. Tryon Summer 5, hosted July 9-14, will also host CSIU25-A competition in addition to CSI 2 competition. August 7-25: A new addition in 2019, the August Series will include three weeks of B and AA-rated Hunter competition in conjunction with Level 3 and 4-rated Jumper competition. September 19-October 27: The Fall Series has six weeks of B and AA-rated Hunter competition, with Level 3 and Level 6 Jumper offerings in addition to a competitive FEI schedule that includes CSI 2, 3, and 5 competition. October 31-November 17: The Festival Series includes two B-rated Hunter and Level 3 Jumper competitions to conclude the year. 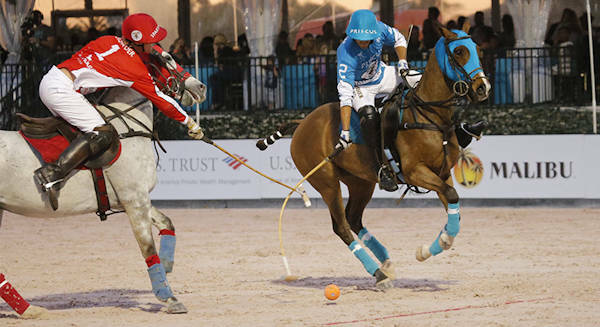 Gladiator Polo: The brand new professional league includes a highly-publicized player draft and feature team owners, similar to the most popular major league sports in North America. Open year-round are four restaurants. 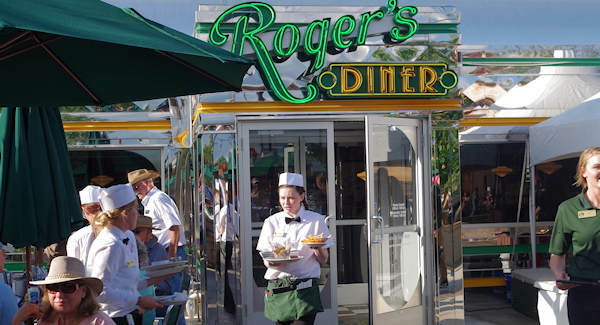 The 50s-inspired Roger's Diner features classic and southern favorites like burgers, patty melts, grits and milkshakes along with breakfast all day, every day. Legends Grille serves lunch and dinner Wednesday-Sunday with casual elegance. Blue Ginger Sushi & Noodles (Wed-Sun) has the freshest seafood and locally sourced ingredients. Campagna Italian is usually open Wednesday-Sunday. The Legends Club offers tables of six with prime viewing in the stadium, with a buffet breakfast and lunch from Wednesday-Sunday, and Saturday dinner each week of series. During competition weeks, try Mane Street Coffee, Triple Crown Deli & Subs, Clear Rounds Pub and The Siesta Cantina. Go to the TIEC website for restaurant hours and more info. 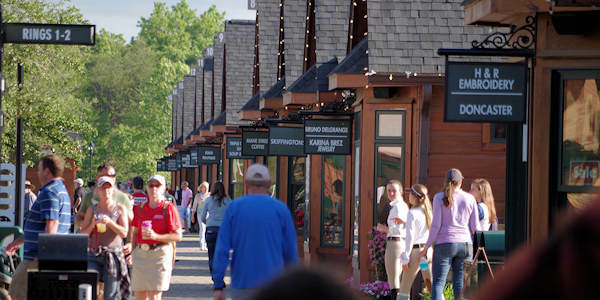 In addition to Tryon Tack and the General Store open year-round, find a variety of shops in cabins by the arena that open during competitions. Every Thursday from 9 AM-12 PM from spring to fall, visit the on-site Farmers Market with produce sourced within a 25-mile radius. Grand Prix Show Jumping, which began in Paris in 1866, has been described as an exciting combination of horse racing and downhill skiing. The jumpers hit high rates of speed between more than a dozen fences up to 5’ 3” in height in a twisting, turning obstacle course. The object is to complete the course without the horse knocking down a bar or refusing to jump. This sport of jumping was first started during the popular fox hunts in Europe, jumping over fences in the English countryside. There are three main divisions at a hunter/jumper horse show: hunter, jumper and equitation. In all three, a rider guides a horse over a course of obstacles. However, each is scored differently. Dressage competition features the performance of choreographed movements and is judged on the horse and rider’s obedience, flexibility and balance (no jumping). Go to the TIEC website for competition dates and more details. During their many competition weeks, especially spring and fall, you can stop by on Thursday-Sunday to watch the action at one of the many arenas. Grab a chair under a pavilion, buy a drink and enjoy a front row seat. As always, there's no admission fee! Go to the TIEC website for competition dates. Play 18 holes on their championship golf course. Then sharpen your shooting skills at the sporting clay course with 15 stations. Read more about Cleghorn Golf & Sports Club. Stay in a cozy cabin, inn or luxury vacation home rental on campus. During competition season (April-October), there's 5-night minimum. Go to the TIEC website to see the lodging options. 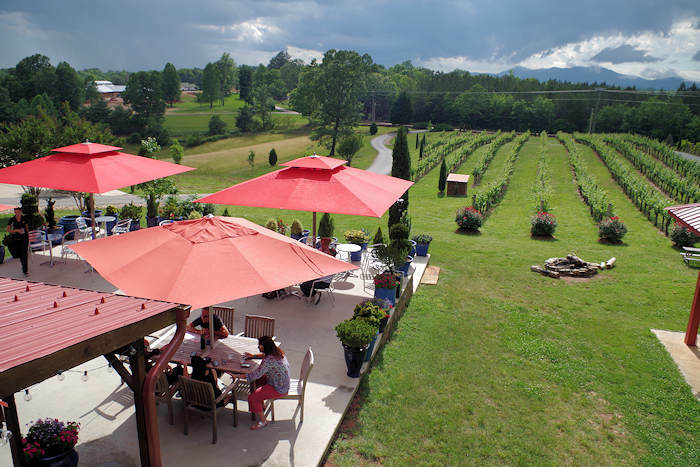 Combine your visit with stops at nearby wineries in the Tryon Foothills Wine Country (read more). And, find many things to do in the nearby towns of Columbus, Rutherfordton and Tryon. 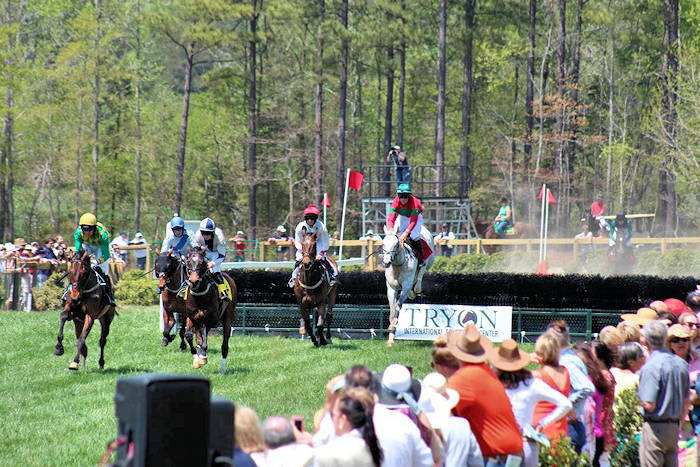 The town of Tryon has a deep history of equestrian culture and sport that spans over 100 years and includes Hunter/Jumper, Steeplechase, Cross Country, Carriage Driving, Dressage, Breeding, Young Horse Shows, Fox Hunting and the Western disciplines. It is also considered the birthplace of modern Show Jumping as it was the home of the 1956 and 1960 Olympic trials, as well as a key training ground for Show Jumping Legends George Morris, Bert Denemethy, Gordon Wright, and Frank Chapot. 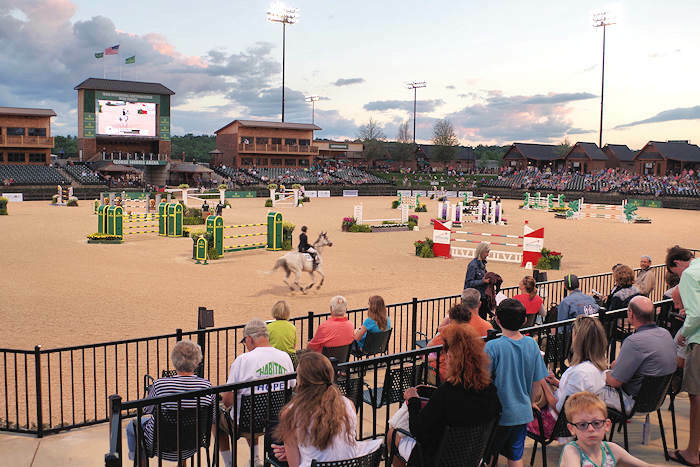 The Tryon International Equestrian Center hosted the 14-day FEI World Equestrian Games in 2018, administered by the Fédération Equestre Internationale (FEI), the worldwide governing body of equestrian sport. Held every four years, halfway between the Summer Olympic Games cycle. So next to the Olympic Games, the FEI WEG is the most important event on the world equestrian calendar. Read more! Directions: TIEC is located conveniently off of exit 170 on US Highway 74. 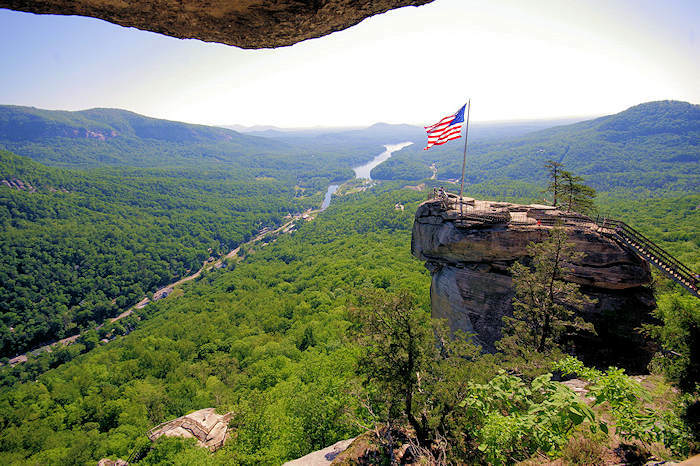 It's an easy 50-minute drive from Asheville. Street address for GPS is 4066 Pea Ridge Road, Mill Spring, NC. Go to the TIEC website for competition dates.